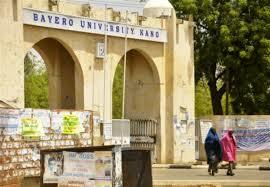 Bayero University, Kano [BUK] 35th Convocation Ceremonies Dates, Time and Venue and Programmes of Events for Award of Higher Degrees, Degrees and Prizes to 2017/2018 Graduands. The Vice Chancellor of the Bayero University, Kano Professor Muhammed Yahuza Bello on behalf of the Council, Senate and Entire University Community Cordially invites the General Public to the 35th Convocation Ceremonies, 2017/2018 session. The Convocation Ceremonies leads to the award of Higher Degrees, Postgraduate Degrees and Diplomas and Prizes. The award of undergraduate degrees across faculties and School of Continuing Education (SCE) will be held between Tuesday, 11th and Thursday, 14th June, 2019. Convocation Lecture will hold on Friday, 15th June, 2019 and the Grand Finale has been slated for Saturday, 16th June, 2019 for the award of Postgraduate degrees and diplomas as well as honorary degrees.